The UK has been plagued with rogue landlords and letting agents for many years, with the issue even being the subject of many television programmes. To help limit the quantity of landlords and letting agents that are deemed to be rogue, the Government have recently announced the launch of a database to keep track of them across the nation. The database comes after exclusive analysis by The Independent revealed that in 2017, almost a third (29 percent) of privately rented homes in Britain failed to meet the national Decent Homes Standard, meaning the properties are either unsafe for habitation or do not have acceptable living facilities. This translates to an astounding 1.4 million homes which fail to meet the stringent standards, resulting in millions of families whose very lives may be at risk. Launched in April this year, the national database stores the details of offending landlords – aiming to help decrease the number of rogue landlords in the private rental sector. Those who rent out substandard properties will be included in the database, which will then be used by councils to help target their enforcement actions. A landlord is usually defined as ‘rogue’ if they rent out substandard properties, which are often dilapidated, overcrowded, squalid or dangerous. Those who are also convicted of housing, immigration and other criminal offences such as leasing overcrowded properties, unlaw eviction and fire and gas safety offences will also see themselves on the database. What are the differences between rogue landlords in the private sector compared to the social sector? Well, for starters, the private housing industry doesn’t seem to face the same rigid expectations as social housing does. Local councils and social housing landlords face increasing legal obligations to act if their homes are classes as substandard, and are held suitably accountable. However there are significantly fewer obligations for private landlords. The shortage of these private accommodation obligations results in millions of families living in inadequate homes, with private landlords often ignoring their tennant’s pleas to make adjustments and repairs to their homes. The database, combined with many council’s latest promises to fine rogue private landlords too will surely be welcomed by tenants living in poor living conditions – but as they say, the proof will very much be in the pudding. Complain directly to your landlord or letting agency first, so they are aware of any problems or issues. If there have been no improvements, contact your local trading standards service if you have issues with the service you are receiving. If your home is unsafe or substandard, contact Environmental Health. Follow this up by complaining to their trade body and, if they are a letting agent, the relevant redress scheme (otherwise known as an ombudsman) if there is no significant improvement. What issues do we face with the database? The most prominent issue that tenants face with the landlord database is the lack of access. Currently, the database is not available to the public, resulting in rogue landlords and agents who have previously been fined going unnoticed by tenants or even potential tenants. The database, created by the Ministry of Housing, Communities and Local Government, has even branded as “pointless” by some property experts. David Cox, chief executive of Arla Propertymark said: “The database won’t be public, which means no one will be able to see it and therefore letting agents and landlords who are on the list can continue operating with impunity. This comment from Steve Brine comes after it has been announced that 82 percent of private renters are satisfied with their accomodation. So, this asks the question, do we really need the landlord database? As mentioned earlier, a staggering third of Britain’s privately rented homes recently failed to meet criteria set by the National Homes Standard. The research also revealed that almost a million privately rented homes are deemed to be in a state of “substantial disrepair”, with many classed as unsafe to inhabit. Of those million homes, 442,000 have damp in at least one room. Despite the government’s claims to be cracking down on rogue landlords, social housing properties also have severe issues. The same research, collected by The Independent, also revealed that 13 percent of social housing properties are considered substandard, with half a million failing to meet the level of standards expected. 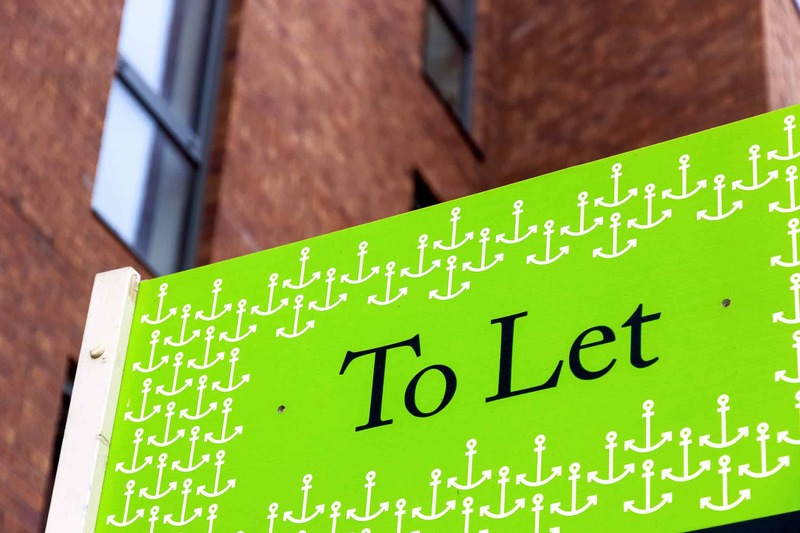 How can you best avoid a rogue landlord? There are plenty of methods to spot and avoid a rogue landlord, with the best being collated in a handy checklist right here. One of the most recent and prominent example of sub-standard properties, and the effect they can have on their residents is the Grenfell Tower disaster. Prior to the fire, residents raised several safety concerns to the landlord of the building, Kensington and Chelsea Tenant Management Organisation (KCTMO), as well as raising fire safety issues on a local blog. One of the main concerns for worried residents was that a single stairway represented their only means of escape in the event of a fire. This tragically became true in June 2017, when residents fleeing the tower from a devastating fire told of how the stairway was blocked, with firefighters struggling to reach upper levels of the building. A lack of sprinklers was also to blame for lives lost in the fire. With no central sprinkler system in the tower, the higher levels were left unprotected, with fire hoses left unable to reach higher levels. Members of the Fire Protection Association said a central sprinkler system would have “undoubtedly” saved lives. The direct cause of the fire was a fridge-freezer, which caught fire in one of the flats in the tower. However the cladding which surround the building was heavily criticised with contributing to the spread of the fire. The cladding, a type of aluminum composite rainscreen, was added to help improve the appearance of the building – not to protect it. Highly flammable, the cut-price cladding was added, despite the material not meeting strict fire-retardant specifications. An alternative cladding with better fire resistance was refused by KCTMO due to cost, despite claims the safer material would have only cost an extra £5,000 for the whole building. Most damningly, the cladding that surrounded Grenfell Tower – and still surrounds hundreds of others, is banned in the US and Germany for tall buildings because of the reasons listed above. What have councils and landlords learnt from the Grenfell Tower disaster? There are some fresh hopes for tenants in both social housing and private rented homes in the form of the rogue landlord database. While the database might not be able to fully eradicate rogue landlords from the housing sector, it will hopefully be able to crack down on some of the most prolific. Many have called for more stringent tests and assessments to be completed, including Councillor Harry Phibbs who has urged more transparency from housing associations and local authorities to publish the Fire Risk Assessments for housing blocks they own. It was reported in July 2017, a month after the fire, that more than half of UK landlords had taken measures to check the fire safety of properties they let. Of those, 33 percent of private sector landlords have checked their fire alarms and 15 percent have instructed a professional to carry out fire assessments, which is a clear step in the right direction in ensuring rented properties are safe for their residents – although of course we would prefer the rest to check too! Undertaking a detailed fire risk assessment of properties they own, identifying dangers and maintaining constant reviews. Ensuring these reviews consider anyone at an increased risk – including older people, children or anyone with a physical impairment. Proactively reduce the risk or eliminate risks of fire. Introduce fire precautions to counteract any risks that cannot be eliminated. The Occupiers Liability Act 1957, which imposes a duty of care upon a landlord to ensure that visitors to the property are reasonably safe. The Landlord & Tenant Act 1985, which imposes a duty of care upon a landlord to keep the structure and exterior of a property in repair, as well as ensuring installations which supply essential services remain in proper working order. What does the future hold for the database? There are hopes for the full database to become public, however some local authorities are already releasing data on their rogue landlords. Sadiq Khan, Mayor of London, has published the Rogue Landlords and Agent Checker, which allows residents to check letting agents and landlords which have been fined or prosecuted by the London Borough of Brent, Camden, Greenwich, Islington, Kingston, Newham, Southwark, Sutton, Waltham Forest and Westminster, with talks for all the remaining London councils to be brought on board with the scheme.